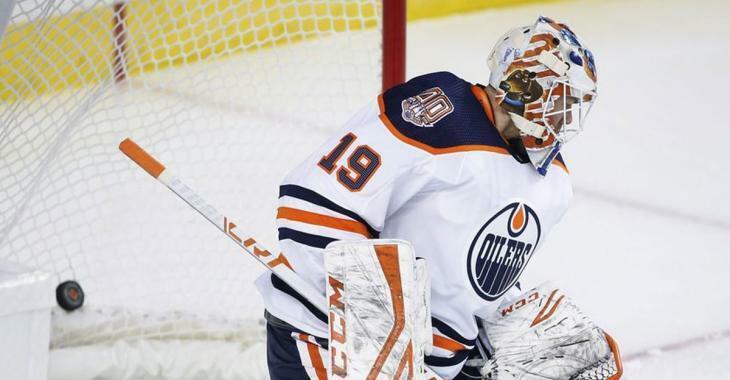 NHL News : Oilers' Koskinen is ready for some action! Oilers' Koskinen is ready for some action! He gets his first Oiler start tomorrow afternoon. When the Edmonton Oilers chose Mikko Koskinen over veteran goalie AL Montoya to become the backup netminder to star goaltender Cam Talbot, some folks wonders if the Kontinental Hockey League would be able to take on the workload and prove himself as the right choice. Koskinen, who was signed to one year at $2.5 million, a very hefty number for an unproven backup, will get his first start on Saturday afternoon against the Nashville Predators, and you better believe he is more than ready to prove the Oilers were right to trust him. Koskinen’s .947 save percentage in St. Petersburg last season, along with a 1.57 goals-against average, surely looked good and the Oilers will hope he can pull off similar numbers, helping to get some workload off of Talbot's shoulders. Talbot will be in action on Sunday against the Blackhawks in Chicago. "I have been ready for this moment and I am ready to go tomorrow," said Koskinen confidently after practice on Friday. Media members were curious to see if Koskinen has adapted to his new life in North America and the change in his game. The 30-year-old shrugged it off and knows he feels confidence about the upcoming games. "I think lately it's been good and it took bit of time, but I feel I have a lot of confidence." Koskinen will stand in between the pipes as the Oilers will get a chance to take their revenge over the Predators. Nashville got the best of the Canadian club last Saturday when they blanked them 3-0. The Predators' backup, Jusse Saros, who recorded a 46-save shutout against the Oilers last December, made 31 stops in the win. He has done great taking over for Pekka Rinne, who is sidelined with an injury at the moment. The Oilers are surely hoping they can also count on Koskinen, who wants nothing more but to help his team win this second face-off between both clubs. The Predators have won 13 straight games against the Oilers, but the Oilers will have a shot at redemption tomorrow.